Last week’s blog introduced you to the concept of dual enrollment. This is where your child can take college courses while still in high school. I talked about the four things you need to know about dual enrollment. If you missed it, you can click here to read it. Maturity Level – In college there can be content discussions in and out of the classroom that your child may not be prepared for. 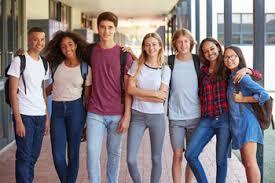 For example, high schoolers may not be comfortable discussing sexual development in open groups, but such discussions could be part of psychology class. Initiative – Is your child a self-starter? Do they get their homework done without you having to remind them? Do they study for tests days before or cram the night before? Do they ask for help when they need it? In college, your student’s success is in their own hands. Parents do not have access to grades or get to have parent/teacher conferences. If your child is not organized and able to stay on top of what they need to do, dual enrollment might not be a good fit. At the seminar, they told one story where a parent found out that their child, who was in dual enrollment, had not attended any classes. It was already near the end of the semester. Specific Major in Mind – Dual enrollment can be great for your child if they already know what they want to major in. It provides them a great jumpstart and can increase the likelihood that they will get accepted into that major immediately. Lengthy Graduate Program – Dual enrollment can be a good option if your child wants to enter a profession that requires many years of schooling, like being a doctor or lawyer. Starting sooner can lead to graduating faster. Child Who Is Not Interested In High School – Some kids are not really interested in high school and ready to move on. They may be bored and ready for greater challenges or prepared to take on more responsibility for managing their time. Dual enrollment could provide that to mature students. Next week, I will share the final things I learned that you want to consider when making decisions about dual enrollment. What is one of the big considerations you have about dual enrollment, post your answer in the comments below. Thank you for sharing your thoughts on this dual enrollment. I wish I had known about this when I was in high school.